I came back to WoW around August this year to an expansion (Mists of Pandaria) that was brand new to me. Because I was jumping in almost at the end of the expansion cycle, I didn’t have the usual expansion launch headaches of long queue times, too many players in the zones, or launch bugs. This should have made the game a joy to come back to. It didn’t. It just felt like the same old stale crap Blizzard has been churning out for years now. And so I kept my head down and leveled my toons waiting for Warlords of Draenor to drop. So far, I’m glad that I did. Just to be clear, I’m only reviewing what I’ve experienced of the expansion so far. That being the main campaign through leveling and the Garrison system. Let’s start with the feature of this expansion that didn’t impress me much. New character models. Where they shine is the less than humanoid races of WoW. 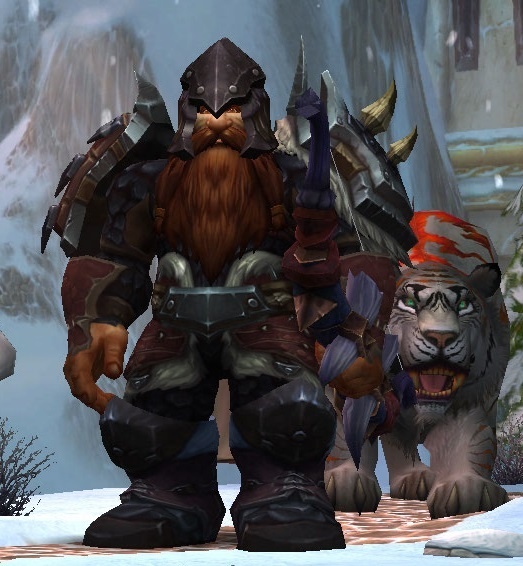 The dwarves, gnomes, orcs, and tauren look pretty good. However, the closer you get to human, like the elves and humans, for instance, the more flat they become. To my eye, those character models look like manikins up close. All in al,l the character model upgrade is pretty mediocre in my opinion. 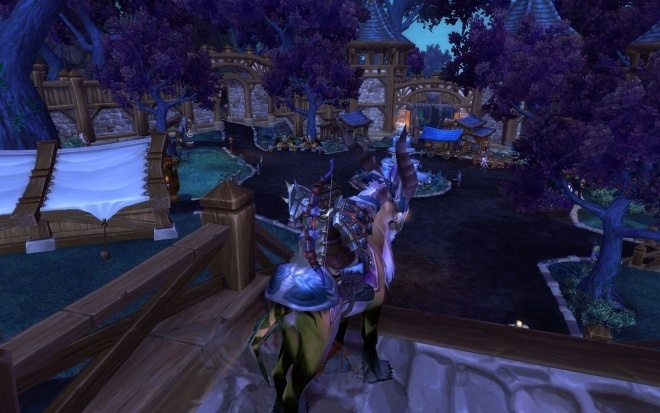 Where Warlords of Draenor wins big is the nostalgia factor. The first part of this nostalgia factor is the call back to the Real Time Strategy (RTS) days of the Warcraft setting through the use of the Garrison system. Shortly after an action packed string of events you end up in your starting area for the expansion and begin building your garrison. And this is where things begin to feel … right. Because you’re building a base just like you did in those old RTS Warcraft games! The garrison allows you the option to build several different buildings, but not all the options at once. So depending on what you build you’ll have a different experience and get different bonuses in game. For instance, I built the Forge for my Death Knight and at level 2 of the Forge, I could place a minion in the building that not only bolstered production, but gave a real nice 4 hour quality of life buff whenever I talked to that minion. The second nostalgia punch is going back to Draenor and seeing all of the characters from the lore of The Burning Crusade and what Outlands was before it was fractured and ruined. I enjoy seeing what all these different characters are like in a different timeline and watching their stories play out through dramatic quest lines and cut scenes. Nostalgia runs through the game in another major way — exploration. I remember when I started playing WoW almost 10 years ago, there was a real joy to exploring the geography of the game. Not because I would necessarily gain anything from it, but because it was fun. That may have never really left the game, but Blizzard has now made it profitable to take your time and look around. Scattered throughout Draenor are hidden treasures. Some aren’t too difficult to find; some are way off the beaten path. Sometimes it’s a piece of loot you’re just going to sell. Sometimes, very infrequently, it’s a gear upgrade that you can use, a pet, or a gadget. Either way, it leaves you wondering at every turn. At its heart, Warlords of Draenor is still a World of Warcraft expansion. But it’s an expansion that reminds you what it was like to play WoW back in the early days of the game. The quest system is still the same old fetch or kill system it’s always been, but tightened up and more efficient. Is it still grindy? Yup. But, for now, I’m really enjoying that feeling of the way things used to be. And, I think anyone who isn’t completely fed up with MMOs will enjoy coming back too.